This is a study to discuss development in a rural setting, such as Niubasaga. How can their needs for a desirable future be met? 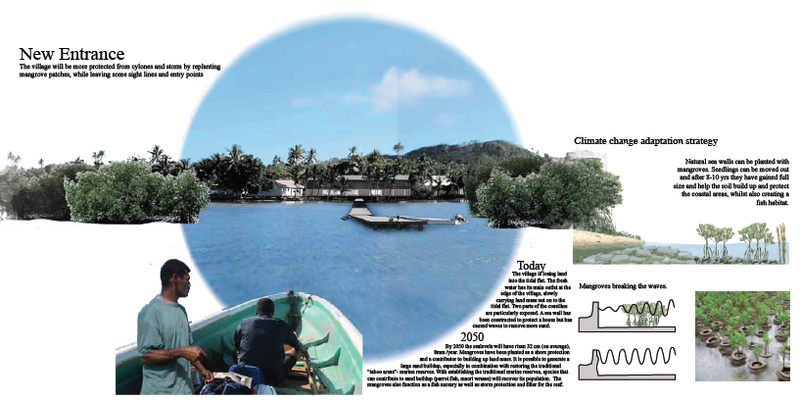 This study aims to recognize and investigate Fijian spatial relations, it aims to relate to the communal culture and strengthen these networks coherent with their culture, whilst discussing additions to improve the standard of living. 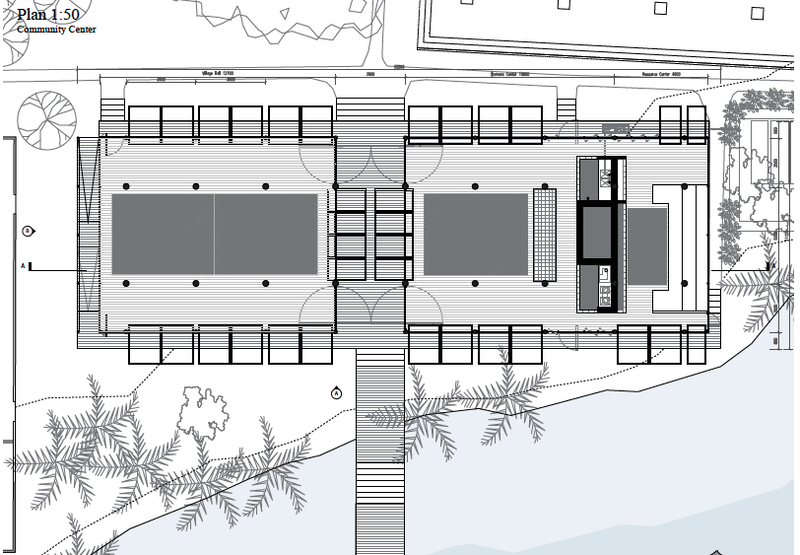 The proposal, a new Community Center, Vale ni soqo. 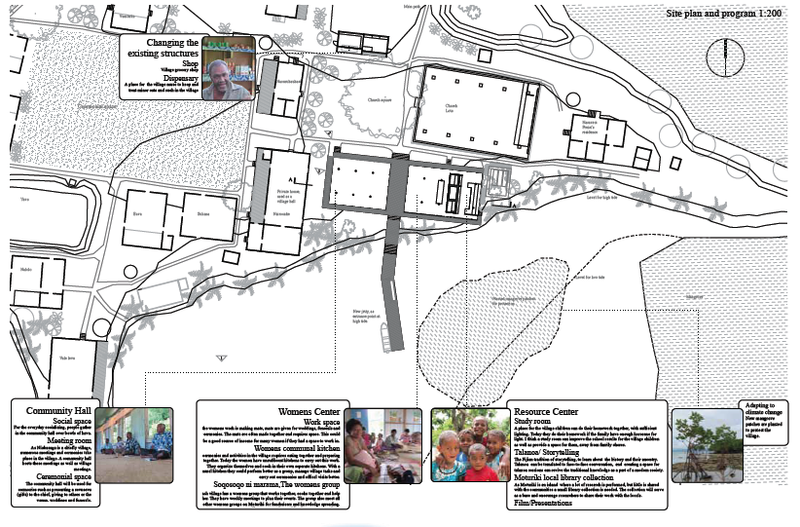 In this building multiple functions are included to respond to the needs of the village. It has space for meetings and larger gatherings. The space can be used as one big structure or two separate spaces if there are multiple gatherings taking place. 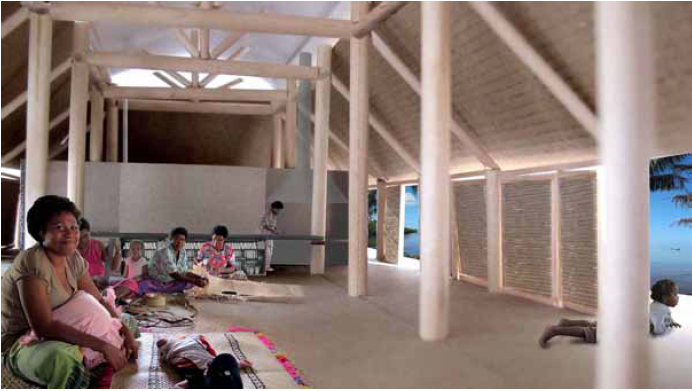 A youth center for learning and studying, that can be lit at night for homework and talanoa (storytelling) sessions. There is a communal kitchen for the village to ease the massive catering needs for large functions. It collects water from the roof so it is easily accessed and a large workbench.